Situated at an altitude of 1740m and accessible only by trekking, Pakshipathalam is home to several species of birds and is an ornithologist's paradise. 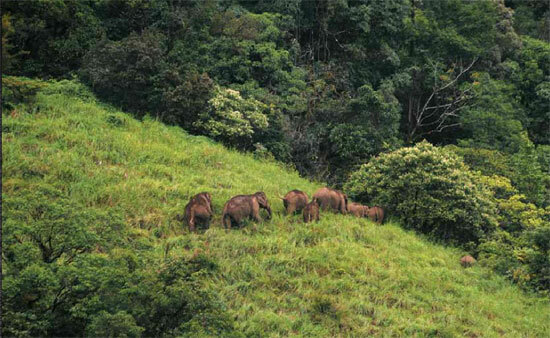 It is located in the Brahmagiri Hills near Thirunelly. There is a cave here, which according to legend, was used by rishis (saints) for meditation in ancient times, has become a major attraction for tourists. It is a challenging tourist spot for any adventure-seeking tourist. 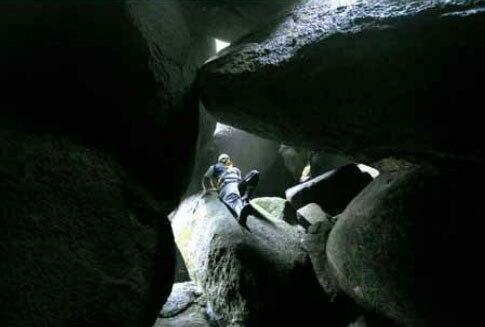 The deep rock caves; formed among the thick blocks of rocks at the northern top end of the Brahmagiri are the abode of various birds and wild beasts. The place is bet knows for the presence of `Edible Nest Swift light' as its nest is made of solidified saliva and is used to make bird's nest soup. Pakshipathalam is about 7 km away from Thirunelli and trekking is the only mode of reaching this place. Thirunelli is about 32 km from Mananthavady. Buses are available upto Thirunelli Temple. The trekking starts from North Wayanad Forest Division. From there one would reach the first point, which is the Watch Tower in one and half hours. The Kerala Karnataka border is in 2 km distance from the watchtower. Though Pakshipathalam situated in Kerala, we can reach there only through Karnataka. The landmark after the watchtower is Pancharathodu, which is 2 km away from Kerala Karnataka border. Then Pakshipathalam is just 500 m away for Pancharathodu. The trekking is for total 7.5 km, which can be completed with approximately three and half hours. To save from leaches, rub a mixture of tobacco and mustard oil in legs. Carry tobacco and salt. If leach bites you, don't try to pull them off. Just pour salt or tobacco over them. Don't use liquor and cigarettes. If there are mists covering your view, continue the trekking only after it depletes. Trekking Fees: Rs.8.00 for a group of 5 persons, Rs 100 for extra person, For foreigners, Rs 1000 for 5 member group. Trekking starts from North Wayanad Forest Division 18. First point: Watch tower (3km away), Then Kerala-Karnataka border (2km from watch tower). Cross Pancharathodu in Karnataka (2 kms from Kerala-Karnataka border). Pakshipathalam is just 500m away from Pancharathodu. Total 7.5 km trekking, almost three and half hour journey.